A person, with no expertise, who is endeavouring to share a technological journey with others who may be interested. How does OneNote hold up on the Mac? Today Microsoft finally released a version of OneNote for Mac (free - I might add !). So - how does it compare ? Ironically - I have just been attending a 2 day course on “21st Century Learning Design”. All centred around Microsoft OneNote. You might ask why I was at a Microsoft centred course? Well - the idea is quality teaching and learning - regardless of brand. It also had to do with higher order thinking and assessing the quality of your own teaching units. It just so happened to be delivered by a Microsoft sponsored Educational partner. I like to think of myself as “ above any brand” - I just prefer Mac products for myself and I do feel they are the best for Education. They just aren’t supported (for Education) in this area of Australia. Do Microsoft make good products ? Of course they do ! People claim Office is the defacto standard. I have and use Word (for Mac) - but I must admit I prefer Pages. I like it as a Word Processor on the Mac and is really the only thing that works smoothly on the iPad (especially for tables). But most people say that “Word” is the default norm. As I say - I don’t really need it. “But it is so powerful Terry - nothing comes close !” My view on that is 5% of the population use 90% of its functions and 90% of the population use 5% of its functions. But I still have it and use it (on occasions). So -what about OneNote ? OneNote has been available for ipad for a while now. I must admit - it is not a bad product. I use it quite regularly. It can do tables, pictures, hyperlinks etc. The tables aspect is very handy because not many programs do tables well on the ipad. Pages is the best by far - so having OneNote do them on the ipad is very handy indeed. Now - the Mac version. How does it stack up ? Very similar to the ipad version. It can do text anywhere on the page, tables, pictures, tags and any form of text. But unfortunately it doesn’t cut it for a computer program. We expect a few more features than for a tablet. It doesn’t have the audio, picture or video aspects of the windows version. 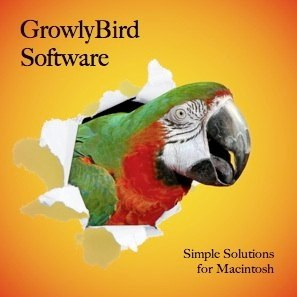 Mac users have been using either Growly Notes ( which will do all the functions of Windows OneNote) or Evernote (which you can use across all devices and platforms. I use both. The advantage of one is the weakness of the other. Growly Notes can just about do anything. The notebooks include audio, video, pdf’s, word - just about any file you want. The disadvantage is, it is only for Mac. No ipad version, (although they are working on one). This is Evernote's main advantage. It is across all platforms. It also can incorporate audio, video and so on. People seem to think that OneNote for Mac is to try and stop the growth of Evernote. Unless they are going to bring some of these features into the Mac version I don’t think a lot of people will bother. The layout of OneNote on the Mac looks nice. It is handy if you don’t need the extra functions. But at this stage I can’t see a lot of people changing over. They may add features in the future, which might make it a worthwhile program. I am sure a lot of people will download it out of curiosity (it is free) and give Microsoft boasting rights, but at this stage - anyone using Evernote or Growly Notes is not going to give it more than a passing glance. My advise for the moment. Stick with Growly Notes if you only use a Mac. Use Evernote if you need to go across platforms.